GAS WASHER / DRYER COMBO 27"
GE UNITIZED SPACEMAKER WASHER/DRYER ELECTRIC 24"
1.5 cu. ft. Large capacity. Three wash/rinse temperatures. Three water levels. Three heat selections. 9 Washer/4 dryer cycles. 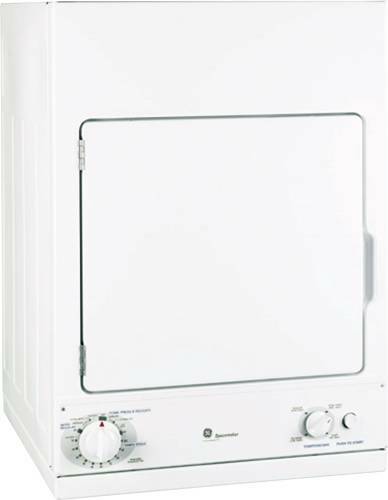 GE UNITIZED SPACEMAKER WASHER/DRYER ELECTRIC 27"